Kate McKnight practices commercial litigation and election law, counseling clients in voting rights and redistricting litigation and in the resolution of business and tax disputes. 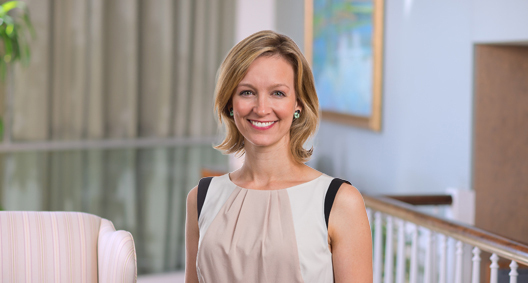 Kate litigates in federal and state trial and appellate courts, and has particular experience in federal district courts, including the Eastern District of Virginia’s “Rocket Docket” and in the courts of the Commonwealth of Virginia. Defended the 2011 redistricting plan drawn by the Virginia House of Delegates in the case brought before a three-judge panel in the Eastern District of Virginia alleging violations of the Equal Protection Clause of the Fourteenth Amendment (Bethune-Hill v. Virginia State Board of Elections). Represented the Virginia House of Delegates against a claim brought by plaintiffs alleging that the 2011 redistricting plans drawn by both the Virginia House and Senate violate the Virginia Constitution’s requirement that all districts be drawn to be compact. Lead trial attorney in a breach of contract case in the Eastern District of Virginia involving an issue of piercing the corporate veil. Defended an equipment manufacturer from antitrust claims in the United States District Court for the Eastern District of Virginia. Represented individuals facing civil and criminal tax investigations involving alleged tax fraud and evasion. Presented oral argument to the Virginia Supreme Court about legislative privilege, an issue of first impression under the Virginia Constitution’s Speech or Debate Clause. Counsels legislatures and local governments in litigation brought against districting maps alleging violations of the Voting Rights Act, the Fourteenth Amendment’s Equal Protection Clause and the First Amendment’s Free Speech Clause. Represented a technology/software company in patent litigation in the District Court for the Eastern District of Virginia. Worked to develop litigation strategy, prepared and argued motions in limine, jury instructions and other pre-trial matters. Represented a large publicly owned client in anticipation of a contract dispute concerning construction delays. Conducted an extensive internal investigation into the client’s contract performance and developed a defense resulting in a settlement without litigation. Represented a family-owned company in a dispute before the Superior Court in the District of Columbia. Resolved the case through settlement. Represented U.S. individuals participating in the IRS' Offshore Voluntary Disclosure Programs. Served on a team acting as independent examiner for a major Swiss bank. Served as a member of a team acting as court-appointed counsel to SIPA Trustee Irving Picard for the liquidation of Bernard L. Madoff Investment Securities LLC, investigating and recovering assets from offshore hedge funds and international financial institutions. Represented a large publicly owned client in a controversy with the Commonwealth of Virginia concerning real property tax overpayments. Filed a complaint and negotiated a settlement for the entire monetary amount with counsel for the Commonwealth. Represented tenants facing residential eviction in the Landlord/Tenant Branch of the Superior Court of the District of Columbia, and helped negotiate a settlement allowing tenants to remain in their home.